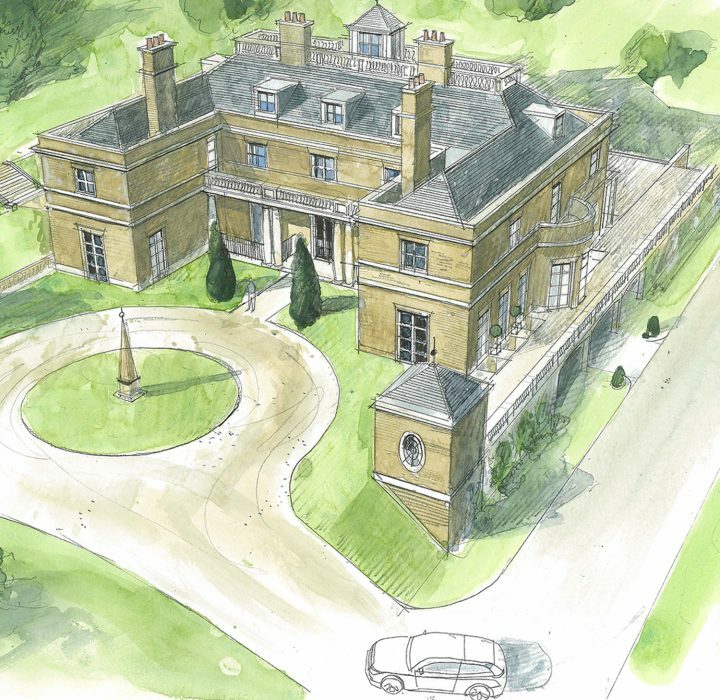 A 12,000 sq/ft new build family home set in mature landscaped garden in the outskirts of London. The client approached the studio with historical planning in place from 1986 for a 7 bedroom house and asked Studio Indigo to design them an up-to-date replacement home. The result is a refined, faintly Georgian home that blends well in the existing landscape and addresses a modern family’s needs.